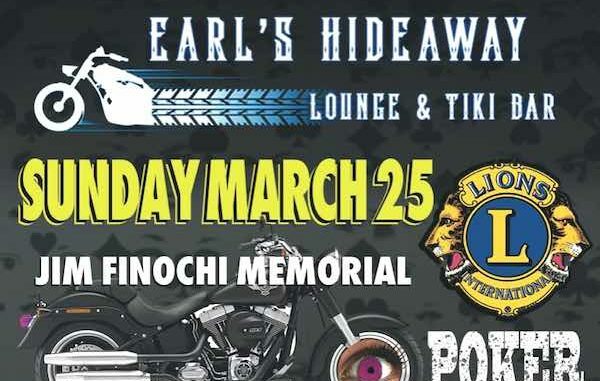 Earl's Hideaway Lounge & Tiki Bar will be hosting a Memorial Bike 4 Sight Poker Run in honor of Sebastian Lions Club member Jim Finochi. 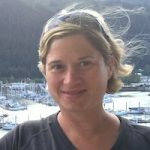 SEBASTIAN – On Sunday, March 25th, Earl’s Hideaway Lounge & Tiki Bar will be hosting a Memorial Bike 4 Sight Poker Run in honor of Sebastian Lions Club member Jim Finochi. Breakfast ($5.00) and registration ($15 per rider & $5 per passenger) from 9 am -11 am. A passenger rider can join for free with a donation of an old pair of eyeglasses. The six stops will consist of Captain Hiram’s, Malabar Mo’s, Space Coast Harley-Davidson, Lou’s Blues, Sebastian Beach Inn, and Tiki Bar & Grill in Sebastian. Captain Hiram’s will be having a mix and match your own Bloody Mary Bar with oven roasted bacon, cucumber spears, tomatoes, peppers and more. They will be on sale for $5.00! Kick Stands Up (KSU) at 11:00 am, the last bike should be in by 2:30 pm. Additionally, there will be a 50/50 drawing, raffles, and door prizes. The Dwayne Dopsie & Zydeco Hellraisers will perform 2:00 pm – 6:00 pm. All Proceeds will go to the Sebastian Lion’s Club. 100% of all funds the Lion’s Club receives from the public is returned to the public through community projects and service. Never are any of the funds used for the clubs administrative needs, as the members do this through membership fees. Jim passed away August 5, 2017, at the age of 70. He was a member of the Sebastian Lions Club, a volunteer for Special Olympics and initiated a Poker Run to benefit that organization.